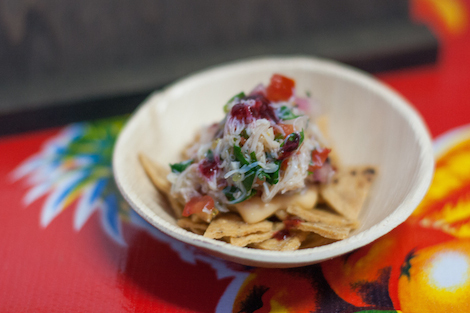 Dungeness crab nachos are a reminder that, sometimes, you have to break the rules to change the game. In a life devoted to nacho-hunting, there are peaks and valleys. During a trip to a new city, the obsession might reach fever pitch, necessitating an investigation of four or five nacho platters in a single day. But here in NYC—a surprisingly dismal nacho town, for reasons we can discuss at another time—months can go by without a single cheese-smothered chip passing my lips. I knew I’d eat well while checking out Feast Portland a couple weeks ago, but with cutesy French cafes and truffle-ized tasting menus to check out, nachos weren’t really on the initial itinerary. Thankfully, the universe (or, more accurately, the good folks at Ox) reached out and slapped me out of my cheese sauce-less slumber. Not only that, but they made me reconsider a number of long-held nacho biases that I’d all but codified in my personal nacho-construction philosophy. 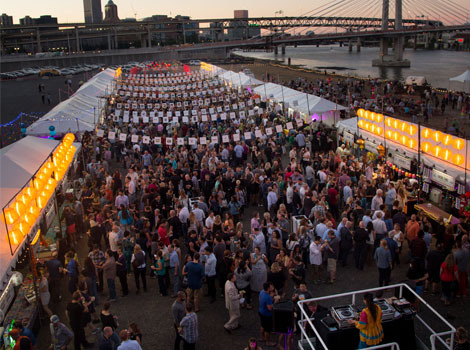 The dish that stopped me in my tracks was served at the Night Market, one of the marquee events of the festival, featuring street-food riffs from the likes of Andy Ricker, Michael Solomonov, and Anita Lo. Ox is a brilliant Argentine-inspired restaurant in Portland, where you can sit in front of a massive wood-fired grill and eat grass-fed Uruguayan ribeye licked by the flames, or a funky stew of octopus and beef tripe. 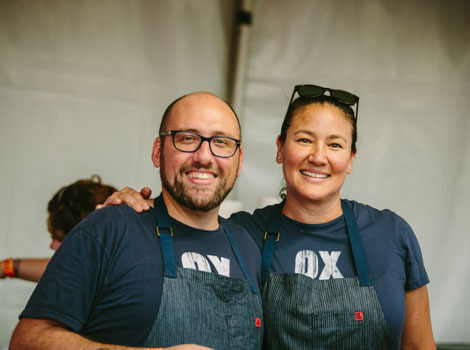 It has nothing to do with nachos, but because husband-and-wife duo Greg and Gabrielle Denton are awesome, they decided to make mini portions of nachos for a tasting event with a thousand guests. Flavored chips distract from what nachos are all about. Seafood on nachos is, nine times out of 10, a mistake. Fruited hot sauces and salsas should be avoided at all costs. I took a bite and saw the world with new eyes. The chips were super-sturdy, tasting of fresh masa with sesame as an accent rather than the main event. The crab-laced “pimento” congealed into a sort of gourmet cheese spread when hit with the cool pico (perhaps not the intended effect, but completely delicious nonetheless), and the hot sauce was all fruity heat without any of the cloying cherry character I had feared. The dish read Asian, Pacific Northwest locavore, and Handi-Snacks all at the same time. And despite the multiple layers of flavor going on, the essence of each bite captured nacho-ness at its core: crunchy, salty, spicy, and (most importantly) cheesy, with the right amount of acid for balance. Thousands of Chinese restaurants in America can’t be wrong with the whole crabby-cream cheese wonton, right? Right. It’s this type of thinking that remind me why more chefs need to finally turn their attention to nachos, and why the nacho hunt is never, ever over. To serve something that’s memorable at a festival is challenging enough; to make something with a point of view that upends your very understanding of the dish is a feat worthy of applause. Thank you, Ox, for bringing back the fire. I have already eaten nachos several times since you reawakened the beast.